I love discovering new makeup. I love discovering new makeup that is super affordable and is an absolute steal. I NEEDED to create this post for everyone because I want everyone to know about this highlighter. It is the Wet N’ Wild Precious Petals Highlighting Powder and I paid £3.75 for it! £3.75! The highlighter does come in two shades, this one and more of a silvery shade. I have already created a whole video of me reviewing Wet and Wild makeup so click here to watch that. But in the video, I was so amazed by this highlighter that I needed to create a post on it. The packaging of this is pretty standard to be honest. It would have been better if it came with a mirror, but considering it is drug store and you are paying a silly amount for it you can’t really expect a mirror. The pan size of the highlighter is so big, honestly it will last your whole life. It has 5.4g of product. On the actual highlighter there is a flower stamp which I thought was quite cute and it just added something extra to it. D U P E ? If you love Jeffree Star highlighters, especially the one in the shade Peach Goddess then I think I have found a dupe for you. It looks exactly the same on the face as the Jeffree star one does, it is the exact same colour and longevity. The only thing that is different is the creamy consistency of them. W H Y I L O V E I T ! It is buildable. – You can apply a little bit for a more subtle glow, or you can apply lots for an amazing blinding glow. SO AFFORDABLE. £3.75 guys! for an amazing highlighter, that is incredible. The packaging means that everything is compact and tidy. It is lightweight and easy to carry around with you. I actually think the packaging is ok, it doesn’t get dirty at all. The shade is stunning. I am definitely more of a rose gold highlighter kinda girl because I don’t really tend to wear blush that much so wearing a rose gold highlighter sort of adds a pinky tone to my face. It doesnt exaggerate pours, or if you have a spot on your cheek bone it doesnt bring more attention to it. It is easy to work with and it isnt messy. Sometimes you get highlighters that are sooo creamy that they are hard to work with. NOPE NOT THIS ONE! This highlighter is a staple in my makeup routine. This will go down well for one of someones birthday or christmas presents. SO SO SO GOOD! That being said, now you have to buy this highlighter and I want to know your thoughts on it. Or if you already have one of their highlighters, what are your thoughts? Do you love it as much as me? Sophia, I am so thrifty this would be perfect for me. You have let me know how long it lasts after you use it for a while. So I can buy that as well. Thanks for sharing in the group. How is that only £3.75? That’s amazing. The pigment looks so good and how awesome that it blends well too! Great write up, I want it now, plus it’s so photogenic too!! Right? it is a well deserved £3.75. That is such an amazing price. It is so stunning! 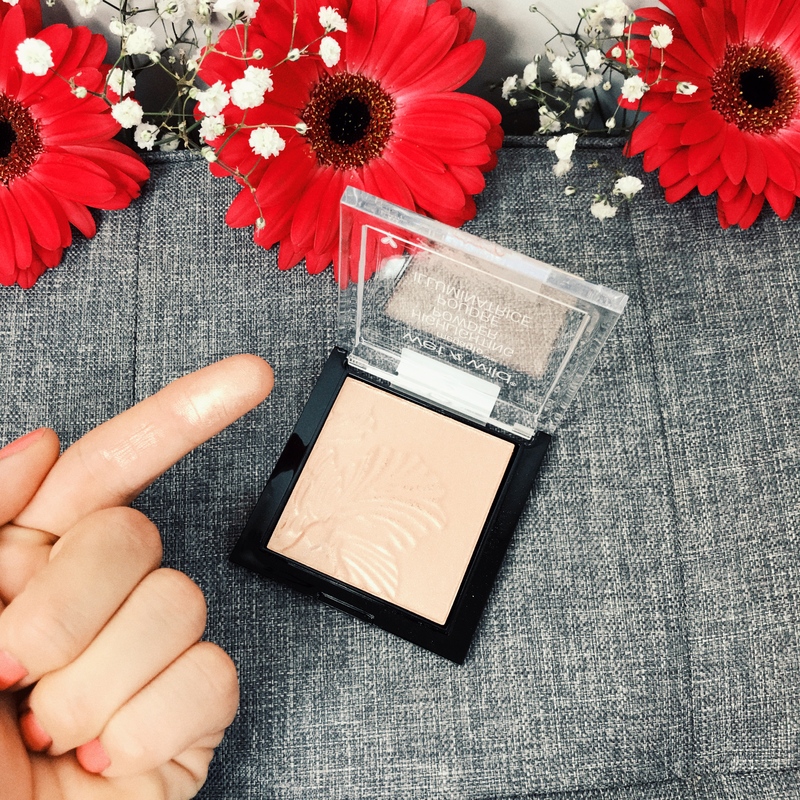 I have actually been hanging to get my hands on this highlighter for awhile- as well as many other wet n’ wild products! Everyone raves about them, and I dont know why I haven’t tried the brand yet! But for less than 4 quid how could you go wrong for a decent highlighter??! I was abit skeptical about using their products just because of the price. But everyone loves them, so I needed to try them. Same here, I should have tried it such a long time ago. LITERALLY! it is so amazing! Great post! Their products are great! Pingback: The knitwear is out, It’s October!